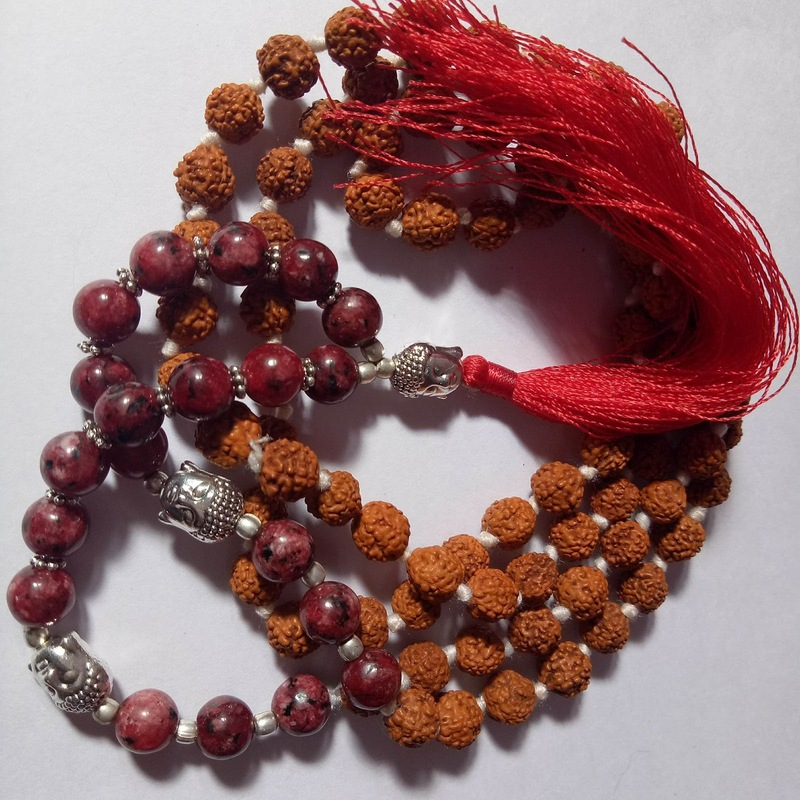 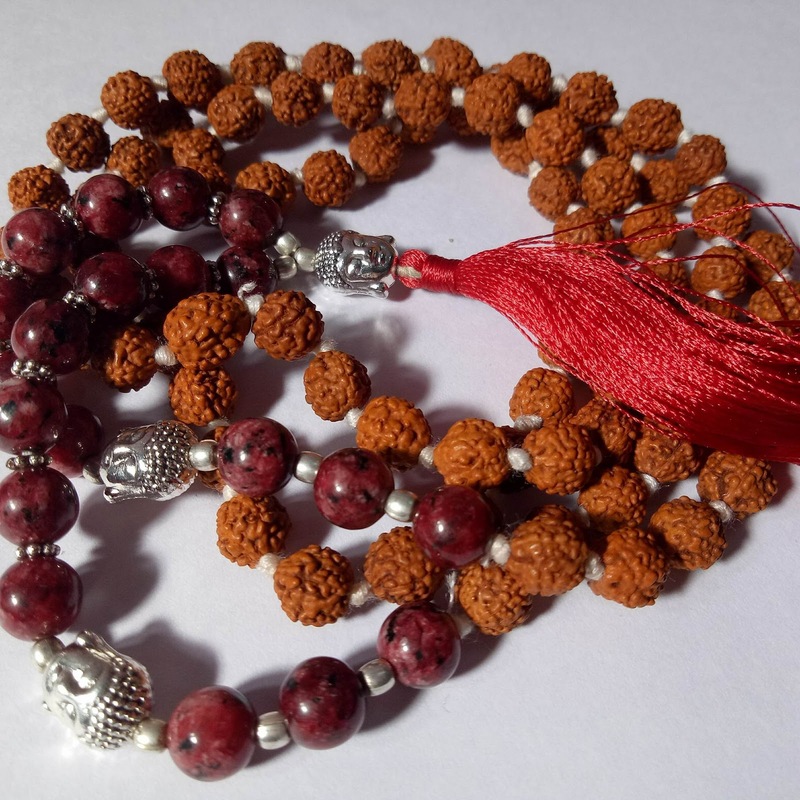 This brilliant mala contains genuine Red Jasper and Rudraksha beads lovingly strung on a waxed thread with traditional knots attached to alloy and pearl spacers. 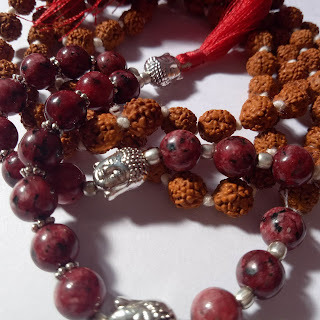 The calming and balance enhancing Red Jasper stirs your sense of creativity by helping your higher self connect with you while also cleansing your Base Chakra. The Rudraksha's vibration will add strength to this development by adding strength,healing and protection where required. 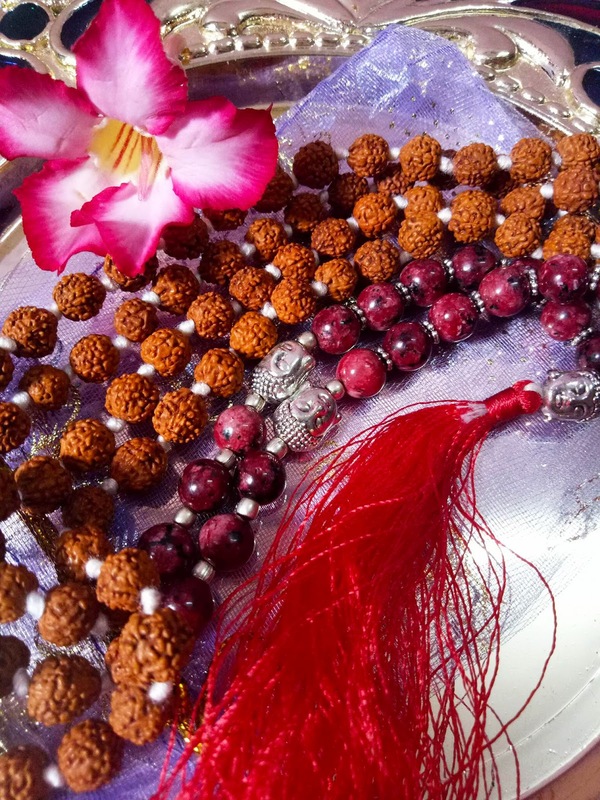 The freshwater pearls will gently carress your aura with its healing and grounding vibration while you work through your respective goals.